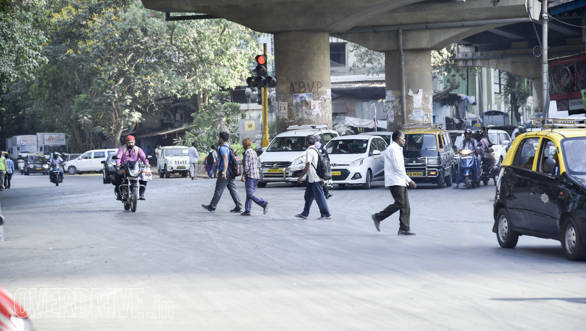 The Maharashtra government has proposed a new urban transport policy that aims to decongest metros by promoting infrastructure development for walkways, cycle paths and public transport. The urban transport policy is open to suggestions and objections from the general public and will be finalised later. The plan was drafted by the Pune Chapter of the Institute of Transportation & Development Policy (ITDP), an organisation based in New York, USA, which promotes environmentally sustainable transport policies. 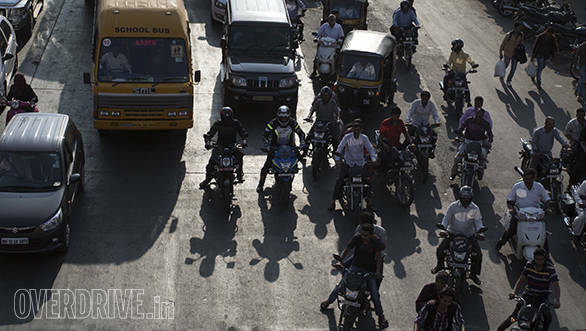 Harshad Abhyankar, coordinator of policy advocacy at the ITDP, has said although there is a national urban transport policy, urban transport is a state-level subject and it is more effective for the state to have its own policy. The goal of the new policy is to discourage private car usage which is one of the primary reasons behind traffic snarls and air pollution that's taking a toll on the mental and physical health of city dwellers. A report by the state's economic survey has revealed that the number of cars plying in the state has swelled from 66 lakh in 2000-2001 to 2.93 crore in 2015-2015. The measures to reduce use of private vehicles, enlisted in the policy, include high parking fees, reducing the overall supply of parking, transit-oriented development and prioritising funds for sustainable non-motorised transport projects. A state government official has stated that the government will take a two or three months to receive and hear all suggestions before finalising the urban transport policy. Once finalised, the policy will come into effect immediately, for all urban agglomerations and notified metropolitan regions. Other municipal corporations and notified townships will get up to four years to adopt the new policy. As per the proposed policy, it's suggested that 80 per cent of all trips in a city must be made through cycling, walking or using public transport. The transit-oriented development requires 80 per cent of the city's population to live within 500m of basic public transport and a minimum of 50 per cent of the population to reside within 500m of a mass transit network. The policy also states that 60 per cent of all jobs should be located within half a kilometre of a public transport service that has a minimum frequency of 12 buses per hour. Also, 40 per cent of the the jobs should be within 500m of a mass transit network. To ensure that the policy is brought into effect quickly, all state bodies are required to have a strategic mobility plan that outlines a timeline for implementing the policy. State government will also have to update development plans for the city to incorporate transit-oriented development and ensure that a majority of the city dwellers reside close to mass transport systems. The government is also expected to make housing affordable in these areas. The policy also discourages expansion of parking places and suggests that urban roads should only be built if they have infrastructure for pedestrian walkways, cycle paths and public transport. While formulating the policy is one aspect, implementation will be a totally different ballgame. It is tricky and requires step-by-step improvements along with deterrents for private transport, adds Abhyankar. The challenges in implementing the proposal is indeed tough. In the case of Mumbai, for example, the existing public transport is crippling under the pressure of handling the extremely high number of commuters that use public transport. Trains and buses are packed well beyond capacity which is one of the main reasons that deters people from using public transport. The government, besides trying to meet the goals of the policy must also take steps to improve the existing means of public transport.